The GoldFather is the number one Jewelry Buyers in Anne Arundel County. 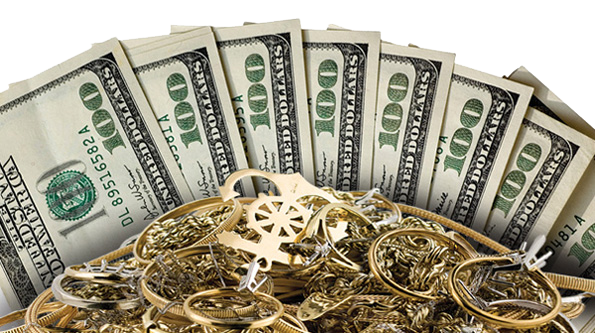 We will test, weigh and make you an offer on your precious metals. 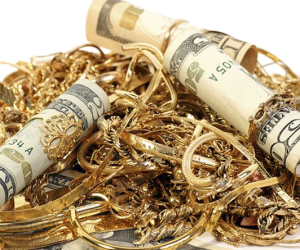 Coins and Bullion are priced at market value daily. We will test your item with a magnet, if it is magnetic, it is NOT gold but maybe gold plated. This is a test everyone can and should do at home, it can save a wasted trip. Use a good quality magnet, a refrigerator magnet is not useful for this procedure. An exception to the magnetic “rule” would be the clasp. Some chains have clasps with a spring that is magnetic, if the clasp attaches to the magnet and the chain does not you have passed test #1. We do not purchase gold plated items. We will look at your item through a loupe to determine any markings. This will help us determine the Karat and authenticity of the item and make test #3 go quicker. We will take your item and run it across a porous black stone a few times. This procedure will leave traces of the item which are then tested with acid. This process does not harm your piece at all but will give us the information needed to make a fair offer on your item. The acid we use comes in different strengths and will tell us if the item being tested is actually gold. This process will also tell us the karat of the gold being tested. The GoldFather uses a precise gram scale that will tell us the weight of the item for our knowledge so that we may price the item accordingly. 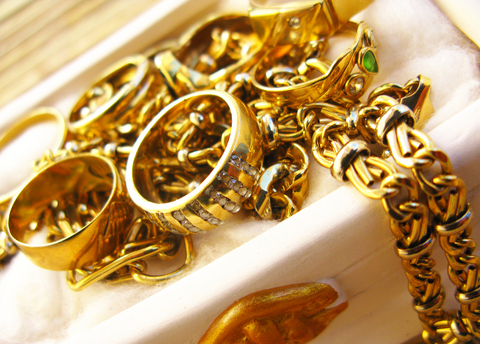 Once your gold is graded by karat we weigh the items and figure a price that we can pay. Once again, The GoldFather does not give a “Low Ball” bid and begin a haggling process, we offer you the best price up front in cash, no games involved. That’s why we are the number one jewelry buyers in Anne Arundel County. The GoldFather is regulated by State and local entities and must adhere to the standards set by such. The customer MUST have a photo I.D. State Drivers License or State Photo I.D. preferred! Passports are not taken as I.D. unless validated by two other forms of I.D. one also having a photo. Once I.D. is validated we must fill out the required form which you will sign and we give you the CASH! That’s all there is to it! The process can take as little as 2-3 minutes for one item.